Do you want to make a true difference in the world? Dr. Ron Sider does. 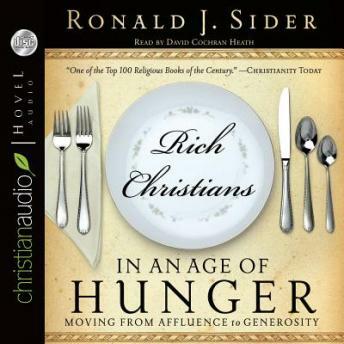 He has, since before he first published Rich Christians in an Age of Hunger in 1978. Despite a dramatic reduction in world hunger since then, 34,000 children still die daily of starvation and preventable disease, and 1.3 billion people, worldwide, remain in abject poverty. So, the professor of theology went back to re-examine the issues by twenty-first century standards. Finding that Conservatives blame morally reprehensible individual choices, and Liberals blame constrictive social and economic policy, Dr. Sider finds himself agreeing with both sides. In this new look at an age-old problem, he offers not only a detailed explanation of the causes, but also a comprehensive series of practical solutions, in the hopes that Christians like him will choose to make a difference.